The Fire department stated through local radio that there were boys between the ages of 14 to 17 in the accomodation. Local media reported that the fire started in a dorm where youth soccer players sleep. The other four victims are employees of the club. Christian Esmerio, 15, has been identified by Reuters as the goalkeeper who died. The fire broke out at Ninho do Urubu, a state-of-the-art training centre that was expanded and opened only two months ago after a £4.8m (R87m) investment. At least three others were injured and the cause is not yet known. Images from Globo from a helicopter showed smoke emerging from a charred area. 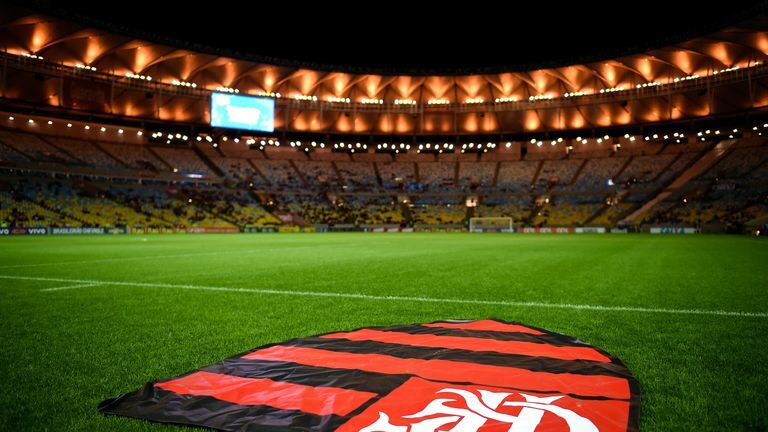 There has been a major fire at Flamengo FC sports complex in Vargem Grande on Friday morning, one that has reportedly killed ten people. It would appear that upon hearing the news, Real Madrid star Vinicius Jr - who joined from the Braziian club, tweeted: "What sad news!" The club posted a graphic on Twitter that said "Flamengo is in mourning". Let's pray for everyone! He added: "Just to remember the nights and days that I spent [at the centre], is to shiver". Club legend Zico wrote on Instagram: "May God comfort the families who lost their children, grandchildren, brothers, nephews, relatives". "May the Red-and-Black nation have strength and faith to get through this moment".